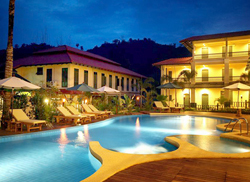 The resort is located at the pristine Nang Thong Beach in Khao Lak, Phang Nga Province, Thailand. 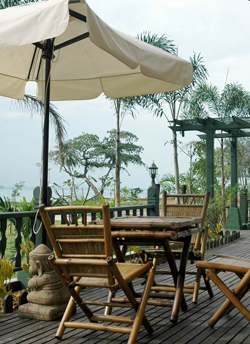 The beach front property offers spectacular views of the beach and the sunset, while the mountain ranges and untouched jungles provide the backdrop for this unique property. A few steps through our beach front park will bring you to the beautiful white sand and pure deep blue water of the Andaman sea. Swimming pool, kid pool & jacuzzi. 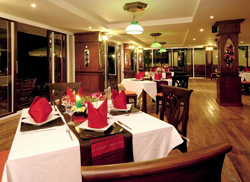 Tong- Thong Bar & Restaurant serves Authentic Thai Cuisine as well as a variety of International dishes composed by our European master chef. In the bar guest can enjoy fine wines or a pleasant cocktail while watching the world renowned sun sets of Khao Lak. Farrell's Irish Pub offers traditional pub fare including pies, fish & chips etc. plus a few other original recipes by the master chef. The pub has a pool table which is free of charge to all patrons and hosts 2 weekly pool tournaments. Sports are shown live on the pub's several TV sets including a 50 inch LCD screen in the Pool Room. Live music with international artist will be a feature for this coming season. Ta-krai Spa & Massage is combined with a restaurant offering exiting and original vegetarian and health food dishes again invented by our master chef as well as freshly squeezed fruit juices and a large variety of teas. 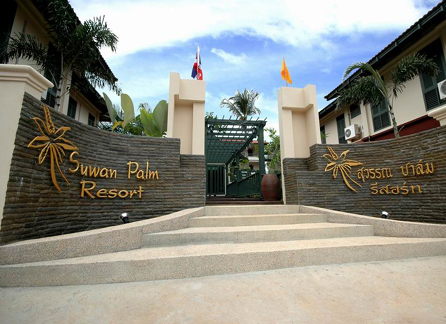 All food served within Suwan Palm Resort is available to be delivered to your room. 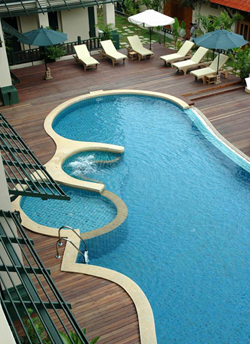 Swimming Pool : Relax and ease your stress by sunbathing in our free-from pool with jacuzzi, with adjacent kid's pool. 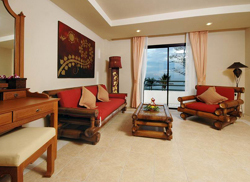 Suwan Palm Resort offers 44 rooms in four categories; Junior Suite, Deluxe, Superior and Standard ranging from 33 - 77 sqm including Ocean View balconies at all rooms. 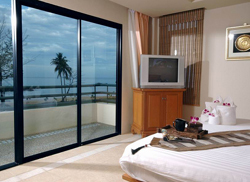 Some rooms also offer spectacular views of the famous Khao Lak Mountain Range. 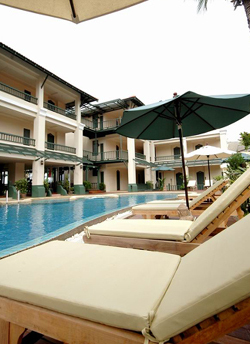 The well appointed rooms with all teak furniture includes facilities such as Private Balcony, Safety box, Individual Air-conditioning, Mini bar, Hair dryer, Multi-Channel-Satellite TV, in-house movies, IDD Telephone and Electric Kettle.